Greggson Off Road, offers Drop Steps Rough Country very high quality. 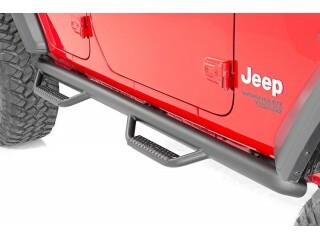 Rough Country's new Wheel to Wheel Drop Steps provide unrelenting style and easier access to your truck. These steps extend from one wheel well opening to the next, offering a clean install that lends to the look of your lifted truck. These steps can be installed on any vehicle, with or without a body lift. Our innovative design actually hides any exposed frame you see under the truck, offering extra protection for your rocker panels. Rough Country Drop Steps are Made out of ultra-durable, corrosion resistant steel with a Zinc Base Coat and Black Finish for a sharp look that's ready to withstand the elements. 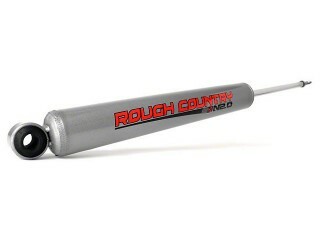 Rough Country Steps include a Lifetime Replacement Warranty!